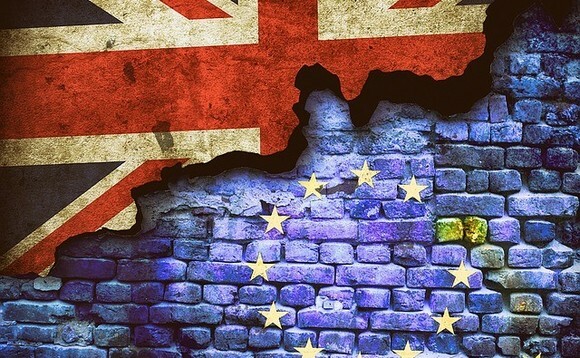 The Financial Conduct Authority (FCA) has signed a memorandum of understanding (MoU) with pan-European regulator ESMA, thereby securing post-Brexit portfolio management delegation for UK asset managers. In a statement, The FCA confirmed the MoU would cover cooperation and the exchange of information in the event the UK leaves the EU without a withdrawal agreement and implementation period. Specifically, the regulators reached an agreement on supervisory cooperation, enforcement and information exchange, as well as one covering supervision of credit rating agencies and trade repositories. The FCA added that until a withdrawal agreement is reached, it will continue to plan for a range of potential outcomes. Chair of the Investment Association Chris Cummings said while the MoU provides "much needed clarity for asset managers", the UK still needs to secure an MoU with the remaining EU27 to ensure the continuation of business as usual with the bloc's investors. He explained: "Today's announcement that the text of a MoU between ESMA and the FCA has been approved brings much needed certainty for asset managers seeking to finalise contingency plans, and we look forward to reviewing the detail. "These agreements ensure that delegation of portfolio management, and the necessary exchanges of information needed for the orderly functioning of markets, can continue regardless of the outcome of the Brexit negotiations. "This is welcome news for millions of savers across Europe who together have some £1.8 trillion of savings managed by experts in the UK. Asset managers - and critically their clients - will now have the confidence they need that delegation to the UK will continue. "We look forward to the FCA and the other EU27 regulators signing these MoUs without delay." Chief executive of the FCA Andrew Bailey said the MoU will allow for "continued close cooperation in the event the UK leaves the EU without an agreement". He added: "They should also minimise the potential for disruption, which we know is particularly important for the investment management sector, credit rating agencies and trade repositories." Pat Lardner, CEO of Irish Funds also welcomed the deal, adding: "Ensuring that there is no disruption for the millions who currently save and invest via regulated funds and that they can continue to access global expertise is vital. "The work being done by ESMA, the Central Bank of Ireland and all the EU regulatory authorities is to be commended as it also provides necessary certainty for market participants." Reports of the MoU coincide with the FCA's publication on how it intends to use its new post-Brexit temporary transitional powers, granted to it via 53 statutory instruments signed off on by the Treasury. The SIs, which amount to "unprecedented powers", according to chair of the Treasury Select Committee Nicky Morgan, would see the FCA and PRA endowed with discretionary power over regulation for up to two years, without the normal scrutiny of Parliament. According to UK regulators, the powers give them the ability to overcome the regulatory hurdles associated with a no-deal Brexit whereby the UK leaves the EU without a withdrawal agreement. On Friday (1 February), the FCA explained the new powers would give it the ability to delay or phase in changes to regulatory requirements made under the EU Withdrawal Act 2018, which enables the 'onshoring' of EU legislation and rules into the UK rulebook, for a maximum of two years from exit. It said it intends to make use of this power to ensure that firms can "generally" continue to comply with their regulatory obligations as they do currently, enabling them to adjust to post-exit requirements in an "orderly way". Executive director of international at the FCA Nausicaa Delfas said: "The temporary transitional power is an important part of our contingency planning. "In the event that the UK leaves the EU without an agreement, it gives us the flexibility to allow firms and other regulated persons to phase in the regulatory changes that would need to be made as a result of 'onshored' EU legislation. "This will give firms certainty, ensure continuity, and reduce the risk of disruption." She added that some areas such as reporting rules under MiFID II "where it would not be appropriate to provide a phase-in, as receiving these reports is crucial to our ability to ensure market oversight and the integrity of financial markets". Delfas said: "In these areas only, we expect firms and other regulated persons to begin preparing to comply with the changes now."